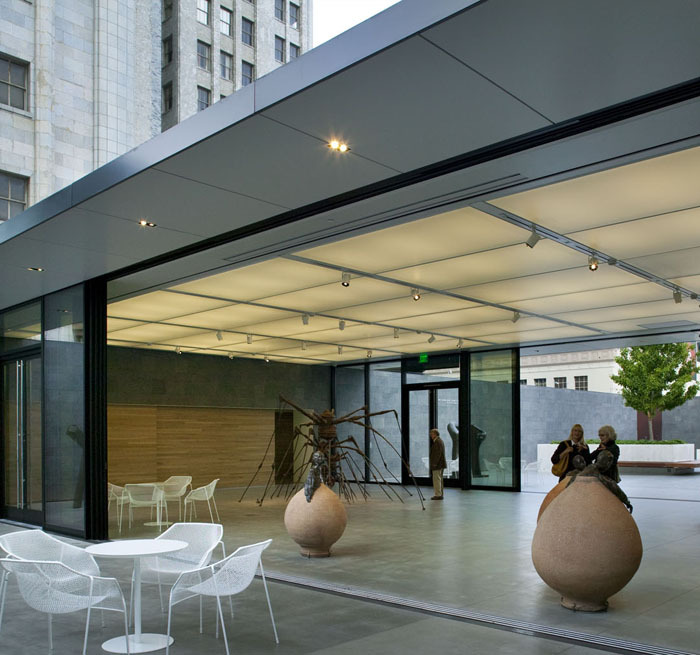 Situated atop the San Francisco Museum of Modern Art’s parking garage, the Sculpture Garden offers a tranquil space apart from the hubbub of the city. As part of the Museum’s 2009 expansion, Auerbach Pollock Friedlander provided audio-video and performance communications systems design for both the sculpture garden and open-air gallery. 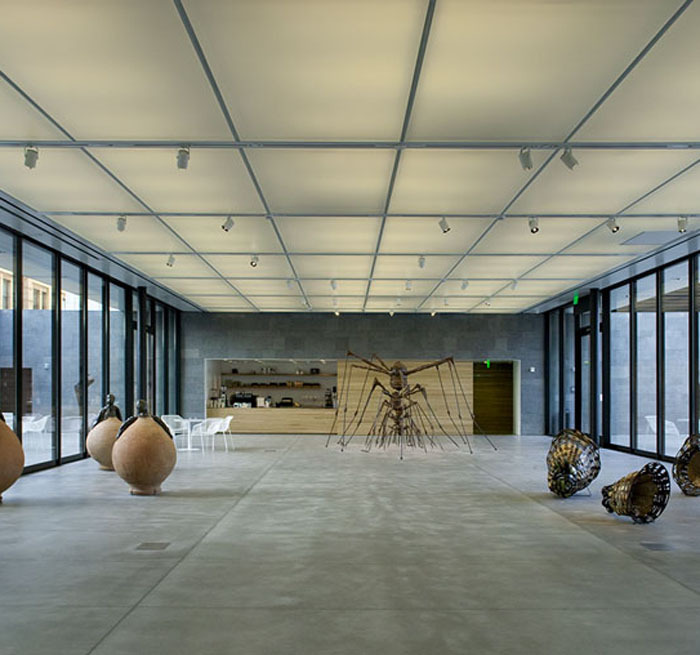 The two large projection screens and a high-output, high definition video projector are fully concealed in the architectural ceiling plane of the gallery when not in use. The positions of screens, projector lift and sound system are all operated by portable wireless touch-panel controls. Custom designed floor boxes of brushed stainless steel conceal wired connection points for event and performance power, audio, video, production communications and telecommunications. The portable loudspeaker systems provide natural sound quality for voice and light amplified music and have visual lines and finishes consistent with gallery architecture. This system also allows automatic audio mixing and touch-panel control for simple presentation events. A portable mixing console and stage box are provided for events where an operator will mix live music. These ensure a rapid setup, high-performance, integrated sound system with a minimum of visual impact.